As a product reviewer I tend to be on the look-out for products or companies that aren’t familiar to me. I don’t as a rule pay too much attention to the Googles and Microsofts of this world, as they have super-slick marketing departments who will ensure that they get as much press coverage as they could possibly desire. I’m more interested in the smaller companies that may have absolutely killer products that will possibly pass me by due to the fact that they don’t have the same marketing muscle as the ‘big boys’. Having said that, I received an email and press release from Casio that piqued my interest. They announced that they were going to unveil a “new educational solution” at BETT, so naturally I had to go along and have a look. The solution is actually a new series of projectors. They feature a one-click wireless connection, and by means of Intel Widi, Miracast or Chromecast can integrate with tablets and other smart devices. Essentially this is a fuss-free projector. I was given a demonstration of how easy it is to use, and I was suitably impressed. It’s very tempting to attempt to identify trends at BETT. I’m not sure that this is always a helpful idea. Last year there was a lot of advance publicity about Artificial Intelligence (AI), and how this was the way forward. I looked at two or three AI products at last year’s show, and I must confess to being a little underwhelmed. They didn’t seem to live up to either their promise or the resultant expectation. This year, if there was any trend at all, it seemed to be in robotics and VR. I had a demonstration from RedboxVR, which was very interesting. Buying their product requires a large one-off financial expenditure from client schools. However, after that the product belongs to the school. There are no licences to renew, and there is a very comprehensive after-sale service. There is free accessible content, and the customer is able to make their own content which can be shared if they wish to do that. All in all it is a very impressive product. Probably my favourite area at the show is the BETT Futures area. As the name suggests, this gives exposure to newer companies, and generally it’s a great showcase for imagination and innovation. Particular stand-outs this year were Blinking Lizard and Ohbot. Blinking Lizard produce a gamified maths app which you can use on your mobile. It is very simple to use and very effective. Eventually it is intended to develop similar gamified apps for other subjects. Blinking Lizard is very much one to watch. Ohbot is a programmable robotic head. It has a wide range of functions which can be programmed by clicking and dragging. It is fairly simple, but clearly the more functions that the user adds then the more complex it becomes. Therefore it is suitable for a wide age range. It can serve as an introduction to programming, but it can also be used to stretch older children. There is also a smaller version called Picoh, which can be used in schools or in the home. 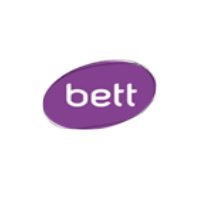 The BETT Show was formerly known as the British Training and Technology Show. This has increasingly become a misnomer as countries such as Israel and Korea have their own areas, added to which there are a large number of overseas exhibitors from countries including Poland, USA, Denmark, France, UAE, Switzerland, Japan, Belarus, Spain and more. So it is now a truly international event. One overseas exhibitor which particularly impressed me was Serosoft Solutions who are based in India. They produce an all-encompassing MIS called Academia. This covers every function that is needed for the running of a school, 25 functions in all. It includes functions that other providers market separately, such as messaging systems. Academia obviates the need for schools to have an MIS that is made up of elements from different providers – elements that don’t necessarily ‘talk’ to each other. Serosoft were at BETT to launch their product into the UK, and I’m sure that they will have found some interested parties. So overall, how was the BETT show 2019? As anticipated, I didn’t get to visit all of the stands that I intended to visit. Also as anticipated, I was distracted by stands that were not on my list to visit, and I learnt from my visits to them. The footfall was noticeably less than in previous years, but that may have been due to the Education Show being next door, and delegates having access to both shows. As always though, it was a very vibrant event which I believe reflects a buoyant industry, and should give us a lot of confidence with regard to the coming year.